No competitors allowed, including: Northrop Grumman, Xylem-Sontek, Rowe Technologies (RoweTech), Nortek, Seafloor Systems. 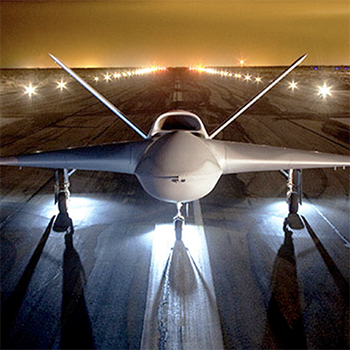 General Atomics Aeronautical Systems, Inc. produces world-class remotely piloted aircraft for military applications. The vertical integration manufacturing model is unique to the industry and occupies over 750,000 square feet in one location. This mixed model line produces, composite aircraft sections, machine and fabrication, cables and harnesses, avionics and systems integration. Tour attendees will see the majority of manufacturing areas and the lean tools that are used to manage the operations. Teledyne RD Instruments game-changing technology has allowed tens of thousands of scientists, engineers, and researchers to explore and understand our world's oceans, rivers and streams. At the core of its journey is its employees, whose dedication, inspiration, talent, and creativity are truly changing the world for the better.​ This tour will feature kanban pull system, visual control, leader standard work and 6S.